Chicago, IL-(ENEWSPF)- A federal jury has convicted a Chicago doctor on fraud charges for billing insurance companies for purported chiropractic manipulations that were never performed. DR. PAUL MADISON, an anesthesiologist and pain management specialist, owned Watertower SurgiCenter LLC, an outpatient surgical center on North Michigan Avenue in Chicago. From 2005 to 2009, Dr. Madison directed Watertower’s billing staff to submit false bills to insurers for manipulation-under-anesthesia of body parts that chiropractors at Watertower had not actually performed. As part of the scheme, Dr. Madison and others falsified patient records to support the fraudulent health insurance claim forms. Dr. Madison then caused these fraudulent claims to be submitted to patients’ insurance companies for payment. The jury in federal court in Chicago convicted Dr. Madison, 65, of Chicago, on all eleven counts against him. 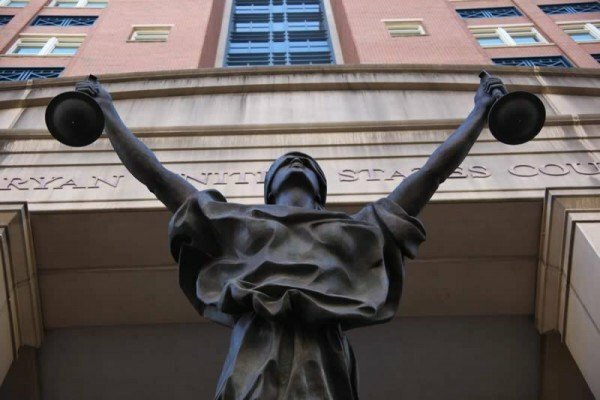 The conviction includes six counts of health care fraud, three counts of making false statements in connection with the delivery of health care services, and two counts of aggravated identity theft. U.S. District Judge Robert M. Dow, Jr., set sentencing for March 25, 2019. The verdict was announced by John R. Lausch, Jr., United States Attorney for the Northern District of Illinois; Jeffrey S. Sallet, Special Agent-in-Charge of the Chicago office of the Federal Bureau of Investigation; and James Vanderberg, Special Agent-in-Charge of the U.S. Department of Labor’s Office of Inspector General in Chicago. The government is represented by Assistant U.S. Attorneys Edward G. Kohler and Jennie Levin. Watertower SurgiCenter was an outpatient surgical center where a variety of medical and chiropractic procedures were performed, including manipulations-under-anesthesia. An MUA involves chiropractic adjustments on patients who had been anesthetized. Evidence at trial revealed that Dr. Madison disguised Watertower’s fraudulent billing by creating false medical and billing records. In at least two instances, Dr. Madison included in the fraudulent billings the names, addresses and dates of birth of patients without their knowledge. Each count of health care fraud is punishable by a maximum sentence of ten years in prison, while the false statement counts each carry a maximum penalty of five years. Each aggravated identity theft count carries a mandatory consecutive sentence of two years. The Court must impose a reasonable sentence under federal statutes and the advisory United States Sentencing Guidelines. This is a December 3, 2018 release from the United States Department of Justice.